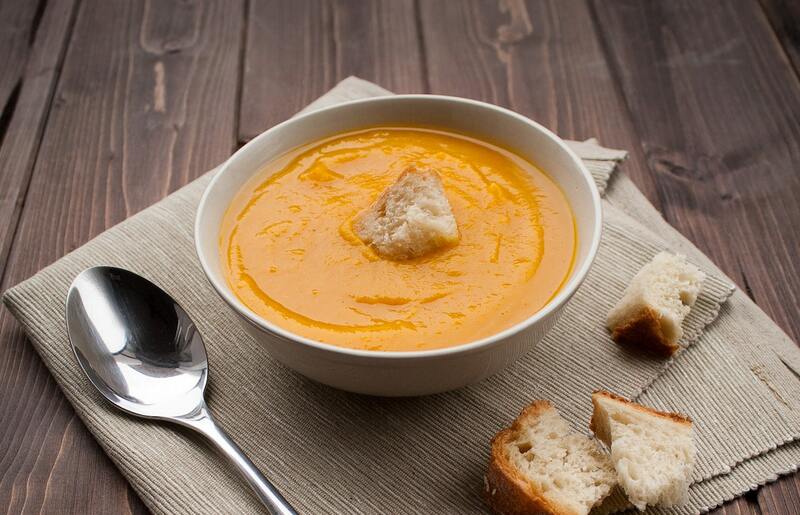 Do you enjoy soups with some spiciness and a flair for the exotic? 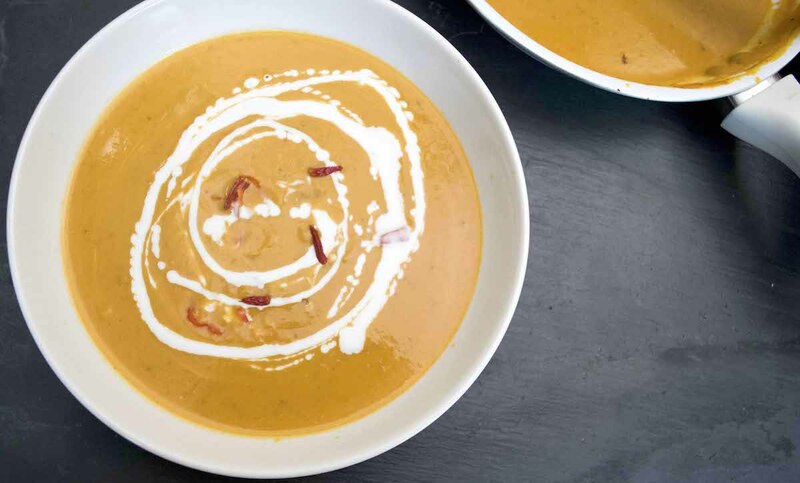 Moroccan pumpkin soup will be right up your alley. It’s well-spiced with the likes of Moroccan sweet paprika, turmeric, cumin, coriander, and cinnamon with a little hint of spicy kick from a touch of cayenne pepper. 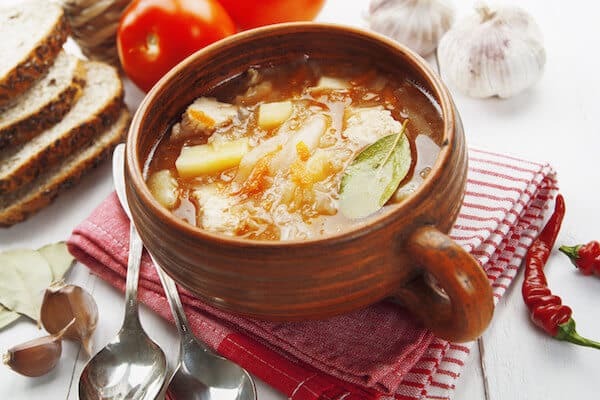 This is the kind of soup that will warm you up from head to toe. If you like the idea of exotic spiciness mixed with pumpkin, check out our Thai pumpkin soup too. It uses curry as its base with a cayenne kick. 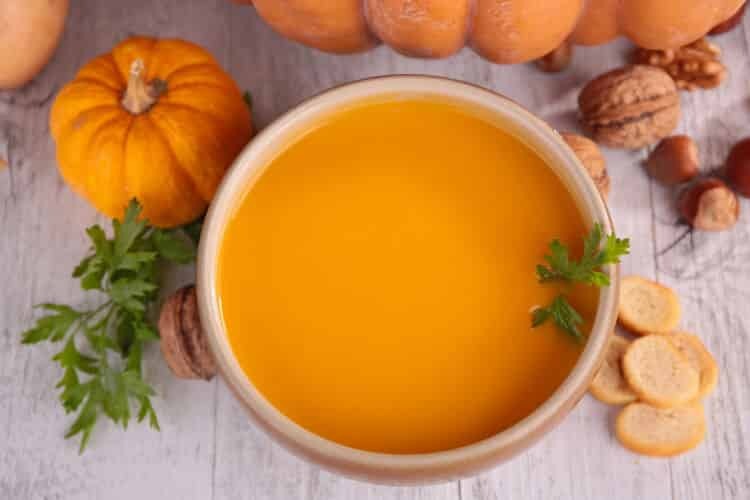 In a mixing bowl, add the pumpkin, vegetable stock, Moroccan sweet paprika, cinnamon, ground cumin, ground coriander, cayenne pepper, and salt. Stir to combine. Heat the olive oil in a soup pot or high-sided saucepan over medium heat. Add the ground turmeric and black pepper and quickly stir to combine with the oil. Add the pumpkin mix. Stir occasionally while bringing the pumpkin to a boil. Once boiling, remove the pumpkin mix. Stir occasionally until the soup starts to boil, then remove from heat. Pour in the coconut cream. Using a handheld food processor, process the pumpkin mix until it's thinned to your desired soup consistency. If using a sauce pan, you may want to pour the soup into a blender and blend accordingly.